Hello, Ann Braden! Happy Wednesday! Welcome to Watch. Connect. Read.! Thank you for stopping by to finish my sentences and to share the cover for The Benefits of Being an Octopus. Ann Braden: Thank you so much for having me, Mr. Schu. I am such a fan of the Nerdy Book Club! Am I allowed to be a member if I’m not a middle school teacher anymore? Once when I was moving, it took more carloads to move out of my classroom than it did to move out of my apartment because of all of the books… I’m hoping that helps with my membership application! 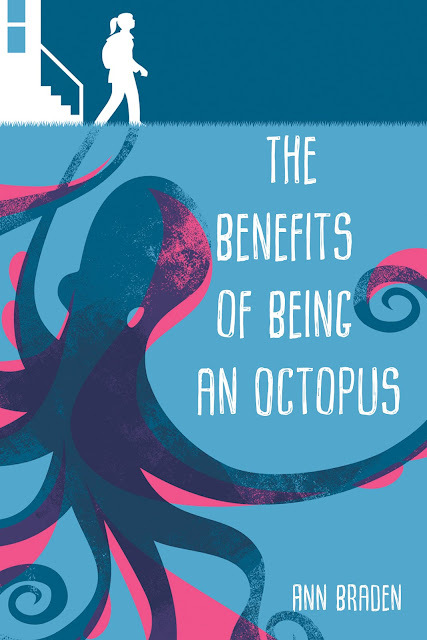 Paul Oakley’s cover illustration for The Benefits of Being an Octopus captures that basic truth that what we see on the outside of a person is nothing compared to what’s really going on below the surface. I simply love it. Zoey thinks life is pretty good right now. She and her little brothers and sister get to live in her mom’s boyfriend’s nice trailer (it even has an alphabetized DVD collection.) They just have to not screw things up, and Zoey is doing her part. Even though her little siblings might be screaming monkeys, she makes sure there’s as little yelling, running, and messes as possible. The problem is that it’s starting to be up to Zoey to take care of everything because her mom isn’t exactly the take-care-of-it mom she used to be. Download The Benefits of Being an Octopus Guide. An Octopus starts out the size of a pencil eraser, floating defenseless in the ocean. And then it grows into a creature with such incredible camouflage abilities that it can change the color and texture of its skin ten times in a matter of seconds! What could be better for navigating a life where it’s best to not be noticed? And being able to camouflage yourself has all sorts of other advantages, too. If anyone bothered to take a closer look at the hole in the reef, they’d see a big, unblinking octopus eye staring out at them, taking in everything. And, of course, there’s no better escape artist than an octopus. Zoey’s family works hard to make ends meet. Thanks to her mom’s waitressing job at the Pizza Pit, they’re close to getting out from under the phone bill’s huge interest rate and putting aside money for a washing machine that actually works. There are good days when there’s money on the EBT card and food in the fridge, but the end of the month is tough. Still, Zoey knows that Easy Cheese letters on a Saltine can keep little kids happy even when there aren’t a lot of food options. (Aurora knew the letter A before she was two thanks to Zoey’s Easy Cheese letters.) Everything might be held together by a thread, but Zoey is determined to make this work. She doesn’t want to go back to the way things used to be. Reading is pretty much a superpower. What else gives you the ability to put yourself entirely in someone else’s shoes – or to see your inner strength reflected back at you? Because then it’s only a matter of time before you discover that you’re stronger than you think. School libraries are where I fell in love with books – not as a student, but as a teacher. I liked books when I was growing up, but it was when I taught middle school social studies and sat with the diversity of my students that I came to truly understand the power of having many, many stories to turn to. I’m so glad the We Need Diverse Books movement has taken hold and that so many librarians are tapped into it. I only wish there were more funding for school libraries across the board so that all kids could have access to the wide range of wonderful books that exist. 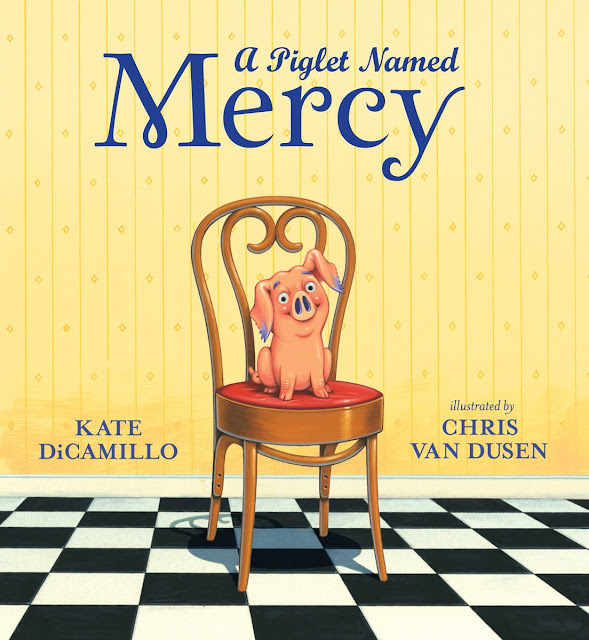 Mr. Schu, you should have asked me about the new kidlit podcast I’m launching with fellow debut author Saadia Faruqi. Saadia is a Pakistani-American author and interfaith activist whose early reader series MEET YASMIN will be published by Capstone this coming August, and she was profiled by Oprah Magazine last fall as a woman making a difference in her community. 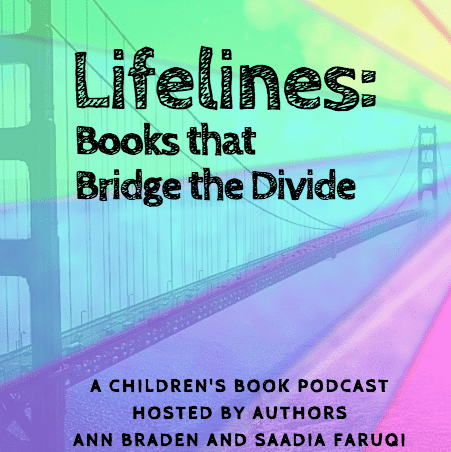 Our podcast is called "Lifelines: Books that Bridge the Divide.” It focuses on conversations with librarians, educators, and readers about the children's books that can be bridges across our cultural divides -- the books that can open minds and the books that can be the lifeline for a child who needs to remember they're not alone. We just launched it with the first two episodes, and folks can find it here. Look for The Benefits of Being an Octopus on September 4, 2018.